Blogged by Johri: #LufthansaPremiumEconomy : Great features at 'paisa vasool' prices! #LufthansaPremiumEconomy : Great features at 'paisa vasool' prices! 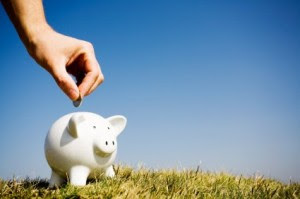 Is hoping for value for your money wrong? I don't think any of the above things is bad or wrong. The satisfaction you get from money well spent can never be compared to anything. It's a feel good feeling that has us smiling and feeling happy. We, Indians value money. We have witnessed the struggles of our parents, trying to raise us to their best potential even if it meant sacrificing their own interests and wishes. 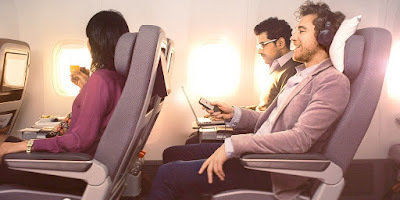 Haggling to reduce prices of things, trying to get a little extra and aiming for 'paisa vasool' experiences, we love things that promise all these and now, companies like Lufthansa have also acknowledged our passion for getting 'paisa vasool' deals and have come up with the Premium Economy Class option for their passengers. With features like the ones one gets only while travelling First class, Lufthansa's Premium Economy class gives these features at rates a little above the economy rates, making it a really 'paisa vasool' deal. But dont take my word for it. You checkout the features, evaluate and then decide. 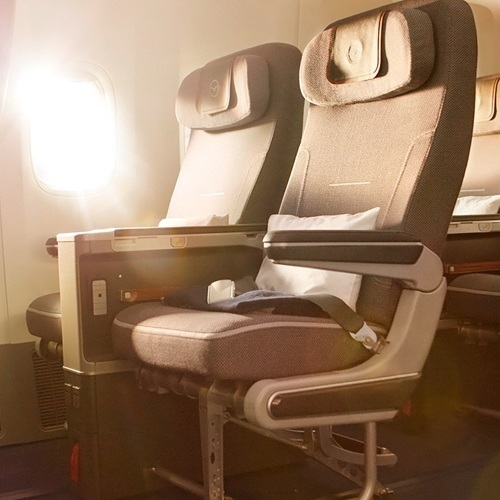 Here are the cool features that made me a fan of the Premium Economy Class. 1) 50 % more space to stretch your legs. 2) Wider, bigger and new seats. 5) Travel kit consisting of a toothbrush, a moist towelette, an eye mask and ear plugs. 8) Option to choose your own food from the food menu. 9) Food served in china tableware. 10) 11"/12" screen provided in front of each seat where you can view the offered entertainment shows. 11) A detachable remote available to control the volume and change channels. 12) A sturdy fold-out table provided in each seat where you can work and eat. 13) Extra storage space at each seat. 14) 2* 50 lbs free baggage option. 15) Option to experience the super comfortable and memorable Business Lounge by paying a fee. All these features are being provided at rates just a little above the economy class. I definitely recommend trying the Lufthansa Premium Economy class when travelling and will be planning my own travel in it too. What do you think? Share your thoughts with me. This post is written for the #LufthansaPremiumEconomy contest on Indiblogger.